The DitoGear™ OmniHead is a precise motorized pan and tilt head based on precise and power-efficient, digitally-controlled servo motors and has been designed for timelapse, stop motion animation and real time operation with DSLR, video and compact digital cinema cameras. The OmniHead is a precisely machined unit consisting of highest quality hardware and electronics housed in a sealed enclosure. It is weather resistant meaning that it may work under standard conditions including light rain or light show and low temperatures. However, it is not fully water resistant and should not be used under extreme conditions. The OmniHead is capable of unlimited rotation in each of axes which may be only limited by the type of controller used. 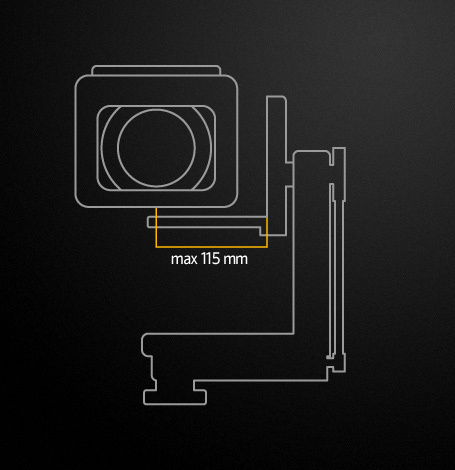 With its innovative design, the DitoGear™ OmniHead allows for full 360° x 360° rotation in each of axes. No more limitations. We understand you usually have too much to carry around. With a compact and lightweight build, the DitoGear™ OmniHead will fit into your luggage easily. Thanks to high precision double bearings on each of axes and power-efficient servo motors the DitoGear™ OmniHead is probably the most precise piece of gear in a sub-10K price range. Backlash-free operation contributes additionally to perfect motion repeatability for VFX. Thanks to servo motors and a proprietary technology by DitoGear™ to control them, the OmniHead delivers unmatched speed range on a single motors setup. With the speed ranging from 45°/s (360° in 8s) to 360° in 450 days, you don’t need to worry about swapping the motors when you switch from timelapse to realtime filming. DitoGear™ OmniSlider is a benchmark product in terms of motion repeatability in compact motion control systems range. Basing on our established tradition, the DitoGear™ OmniHead won’t disappoint you in this matter allowing for fully repeatable movement. Either use the Trito, a 3-axis ultra-precise controller for realtime movements or unleash the power of motion control thanks to DitoGear™ OmniControllers, DragonBridge and Dragonframe combo, or DitoGear™ Evolution integration.Be as creative as you like with realtime or timelapse operation. Record sophisticated sequences, play them back in real time or in timelapse to design most difficult speed matching shots combining time-lapse and real-time footage into one composite shot. Take an advantage of motion control for your stop-motion animations or motion-controlled macro shots. 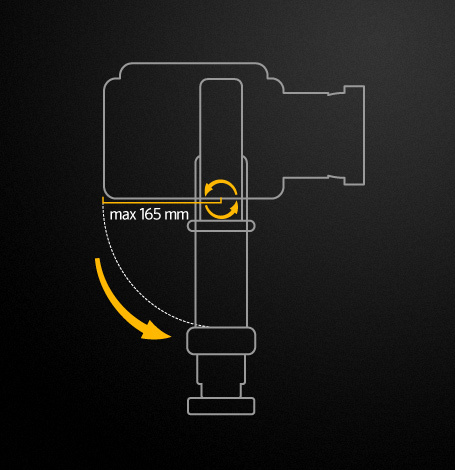 Thanks to a one-key design approach you’ll easily mount the head on the tripod or DitoGear™ OmniSlider and balance the camera. DitoGear™ OmniHead comes with minimized cabling. Signal and power has been combined within a single RJ-type connector. No more hassle. Continuing the tradition of great build of DitoGear™ products, the OmniHead comes with a high-end machined, sealed and weather-proof enclosure. Finally, if you’d like to hang it upside down – yes, that’s also possible. Unleash the power of motion control for stop motion work with DitoGear™ DragonBridge & Dragonframe motion control software integration. Now it is a pleasure to reveal complicated scene details by smoothly adjusting the focus or camera position. So many new possibilities! With DitoGear™ Evolution – a multi-axis keyframe-based motion control software this unit will be another block contributing to enormous creative possibilities of your multi-axis DitoGear™ motion control rig. * Data for upgraded version available from March, 2013. Previous version’s payloads: Pan – 5kg (11lbs), Tilt – 1.5kg (2.2lbs). These payloads are considered safe, but you may get a bit more depending on configuration of your rig. There are four different bundles available for the DitoGear™ OmniHead Bundle. Please refer to the table below which describes the different bundles and all the items that are included with a bundle. Some of the image photographs on our website may show the OmniSlider, OmniHead and LensDrive with 3rd party accessories, such as camera, lenses, supports, quick release plates and similar, which are not supplied in the kit. Depending on your cameras and working style you may want to add a range of 3rd party accessories to get the most of the DitoGear™ motion control rig. Please refer to the table above to understand what’s supplied.